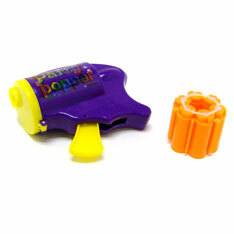 Add excitement to the party with Confetti Pistol Party Poppers. The pistol will shoot 6 rounds of dazzling confetti. Includes two six-round reloads. 4 inches in length and sold by the each. Additional loads sold separately. $1.65 each for 72 or more. $1.45 each for 144 or more.